“I don’t feel hatred for the Germans. But I feel great sadness because Nazis existed. 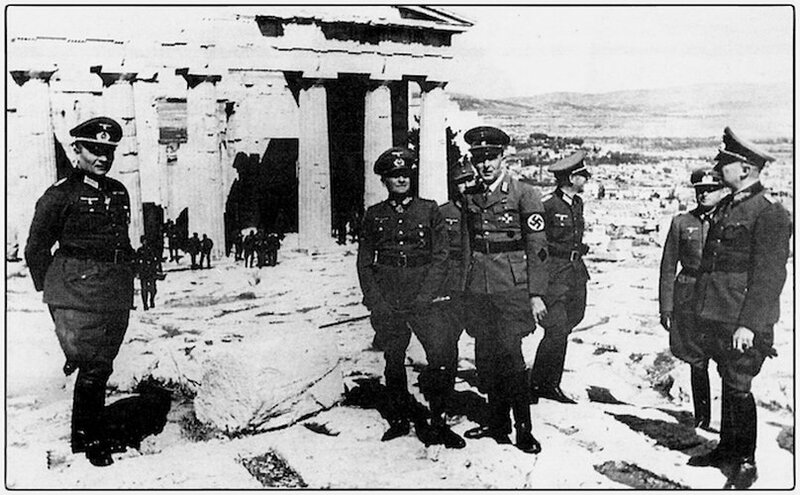 Why did we allow as a society for Nazis to exist?” said Rosina Asser-Pardo, a Greek-Jew who survived the Second World War, during her speech at an event titled “Memories of the German occupation in Greece,” which was part of the program collecting audiovisual witness accounts of the German occupation of Greece. Pardo hid with her father and younger sister in a house in Thessaloniki to escape the deportation to concentration camps. She is one of the 69 survivors who participated in the program which aims at bringing to a wider audience this period of history during which thousands of Greeks died and the country suffered incalculable damage to its economy and infrastructure. The people who participated were victims of Holocaust survivors, victims of reprisals and massacres, bombing survivors, members of resistance groups, concentration camp prisoners and people who experienced in a variety of ways the Occupation and wanted to speak about their personal experience. Speaking at the event, Germany’s Minister of State for Europe Michael Roth said “no book, no movie, no theater play” can present the truth and the emotions of that era beyond the people who lived them and noted the “need to preserve witness accounts” as fewer and fewer people who lived through the events are still living. He also said the Greek state and every one person must assume their respective responsibilities so that no such wrong ever happens again.“It’s not enough to repeat the phrase ‘never again’,” said Hagen Fleischer, Professor of contemporary history at the University of Athens and scientific director of the program, adding that the people who experienced that era are an “invaluable source of information,” as their testimonies will enrich the classic, printed literature. On the same issue, Nikos Apostolopoulos, Professor of the Free University of Berlin and director of the program, stressed the need for maintaining “oral history,” adding it is important to make the story of the occupation known in Germany through the digital database of witness accounts which has been created.